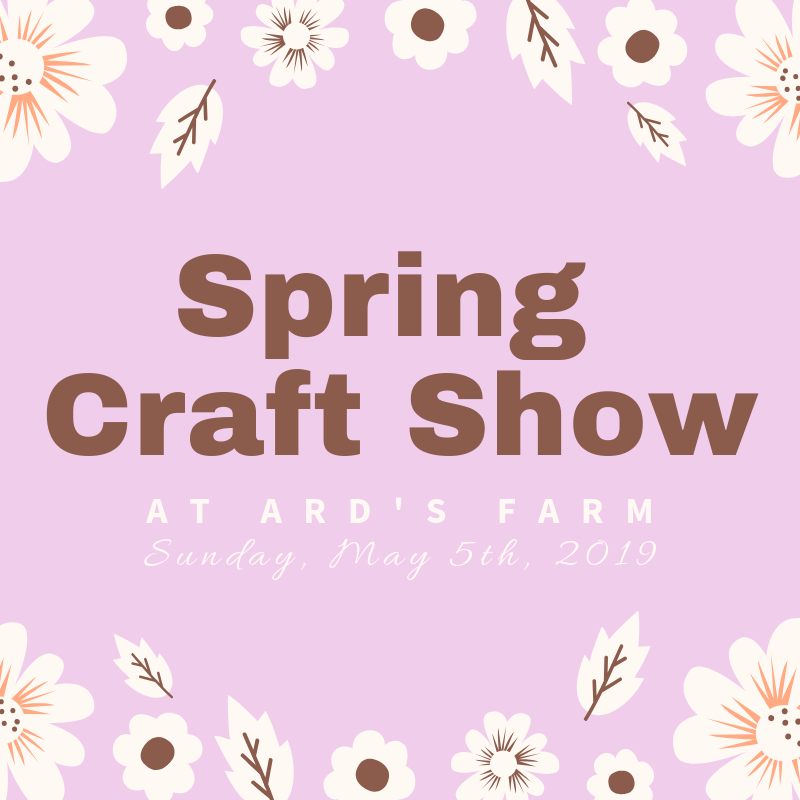 Join us on the Farm for our Spring Craft Show with many talented vendors! Shop for some spring decor or for a Mother’s Day gift from a wide selection of local vendors! The event is being held outside at Ard’s Farm on Sunday, May 5th from 10AM-3PM. Check our website or Facebook page for more information on all of our amazing vendors!